The Specs of the LG G3 Stylus D693N was leaked via Zauba.com listings..
A new device with model number D693 was spotted in a UA Profile on LG Offcial website. 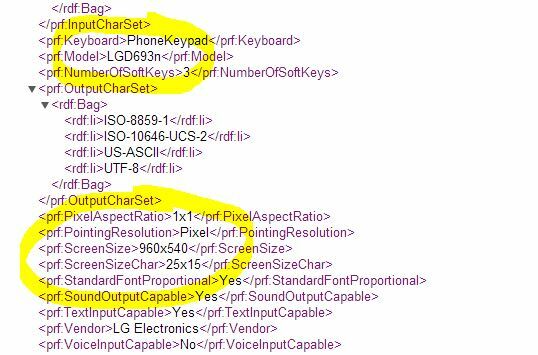 The model number D693 has been spotted in a leaked document and the device with model number D693N is listed as LG G3 Stylus. The D693’s UAProf reveals that it will come with a qHD (540X960 pixel) display of unspecified size, and 3G HSPA connectivity and Google Android. However, The Specs revealed in the UA Profile is subject to change, because the UA Profile is still in draft Version. There is little else to go on at this point as this file is the first time we hear about the LG-D693N. Anyway, the UA Profile for D693 does confirm the existence of the device, and lead us to belive that the D693 is indeed a G3 Stylus varitant that shows up in early leaks. It certainly looks like LG is hoping to capitalize on the G3 brand! We will see more new LG devices with the G3 brand to leverage that early success. [UPDATE] According to our tipster there will be no more LG VU models, The next generation of the LG VU will be launched as G3 Stylus.